In 2018, Latham & Watkins provided more than 245,000 hours of free legal services valued at over US$177 million. At Latham & Watkins, the pro bono practice has become a hallmark of the firm. It is central to the culture and an important part of life at Latham. Latham & Watkins has a long-standing commitment to providing pro bono legal services, financial support, and volunteer time to those most in need within our communities. Latham's dedication to pro bono work is a source of pride and reflects a fundamental part of the firm’s culture. Each year, our lawyers and professional staff take on matters in nearly every area of public interest law, including veterans’ rights, asylum and immigration, domestic violence, Holocaust reparations, anti-human trafficking, prisoners’ rights, microfinance and social entrepreneurialism, children and civil rights. Learn more by reading our 2018 Pro Bono Annual Review. 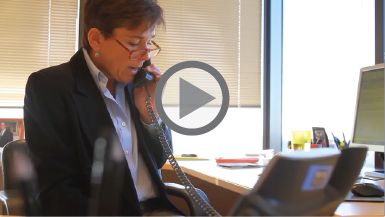 Watch a video in which some of our lawyers discuss why they do pro bono. Latham volunteers thousands of hours of time and expertise to help those who might otherwise be denied access to the legal system. As a signatory to the Law Firm Pro Bono Challenge™, Latham has committed to provide, at minimum, the equivalent of 60 hours per US lawyer per year in pro bono legal services. The firm has surpassed this goal every year since making the commitment. Between 2000–2018, Latham provided more than 3.5 million pro bono hours in free legal services to underserved individuals and families and the nonprofit sector valued at approximately US$1.6 billion. We treat our pro bono work the same as commercial work, applying the same quality standards and treating associate pro bono hours the same as commercial billable hours for purposes of evaluation and bonuses. There is no cap on pro bono hours. Visit our Pro Bono & Community Service channel on YouTube to learn more about the firm’s community service. Learn how an innovative nonprofit helps children in the D.C. area. Learn about a long-standing legal clinic Latham helps run in Paris. Learn more about Latham's work on behalf of two asylum seekers.